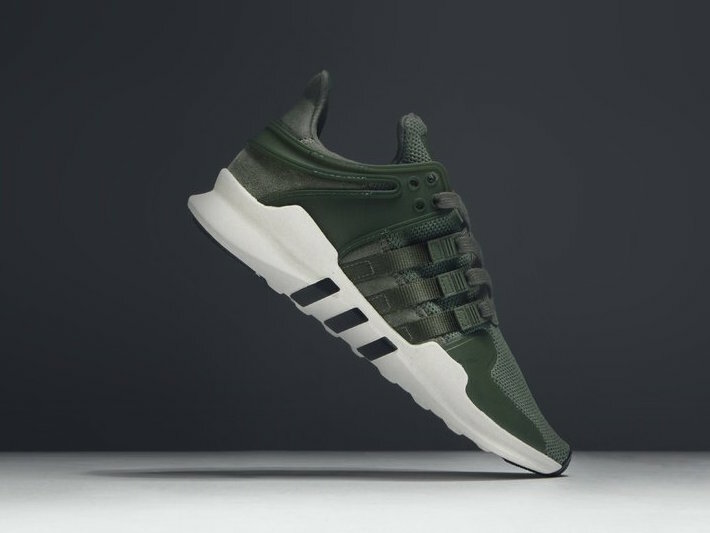 For the fall season, adidas drops off their latest EQT Support ADV in a Olive and White color scheme. This release features a full Olive Green knitted mesh upper with matching Three Stripes on the lateral and medial sides that extends onto an Off-White midsole. A Black rubber outsoles completes the look. Check out the additional photos below and you can now find the adidas EQT Support ADV Olive in women’s sizing through select retailers like Feature. The retail price tag is set at $110 USD.